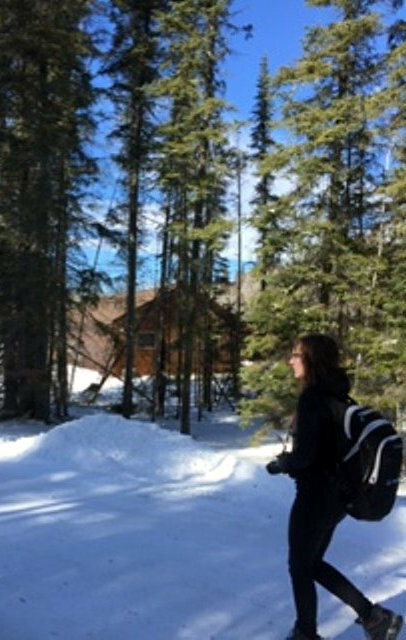 EcoFriendly Sask was pleased to provide Sun West School Division’s Distance Learning Centre with an EcoFriendly Action Grant to help their Outdoor Education Club have a more sustainable winter camping trip. 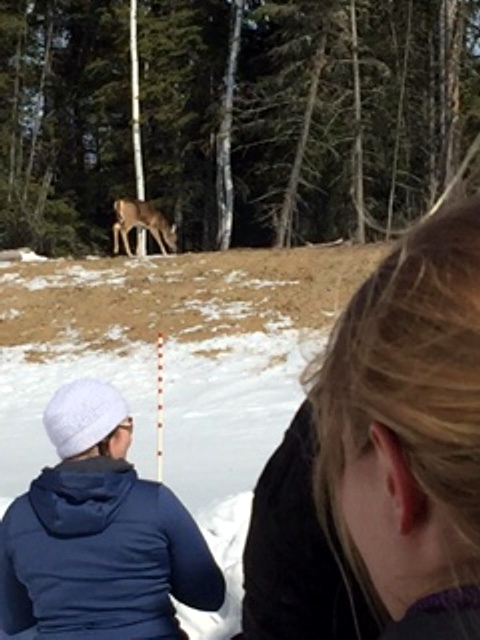 "At the Sun West Distance Learning Centre, we started up an Outdoor Ed Club for the first time ever. The first event we planned was a Winter Camping Trip that took place March 14-15 at Elk Ridge Resort. The purpose for this trip was to allow our Distance Ed students the chance to connect and build relationships with other DLC students and their teachers while also letting them discover a variety of outdoor activities that promote a healthy lifestyle. The weather for outdoor activities could not have been better! 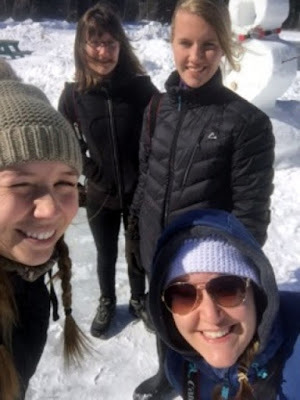 "Our students arrived via their own transportation and we spent two days outside participating in winter hiking, cross-country skiing, snowshoeing, nature photography, curling, ice skating, a scavenger hunt, tobogganing, and roasting our lunch over the fire. We also had two presenters from Sundogs come up and give a presentation on dog sledding! They even brought one of their sled dogs, Aster, and their dog sled for us to try out. At the end of the day we took advantage of the waterslide, hot tub, and pool inside at the Elk Ridge Resort to relax before hitting the sack. "We had many activities planned and had a hard time getting students to move onto the next activity because they were so engaged. We all tried something new during the trip! We shared many laughs together especially over our attempts at curling on the pond, falling down while cross-country skiing on the trails, and tobogganing down the hill in tractor tire tubes. "When we needed a break from the outdoor elements we came inside the cabin and baked bannock, made jam, and whipped butter ourselves. We also did a relaxing ‘soap stone carving’ activity where we warmed up and carved our soaps into little figurines. All activities were intended to celebrate outdoor education and bond together as a group. "With the grant money that was provided to us by EcoFriendly Sask we were able to buy reusable camping equipment to completely eliminate the need for paper cups, plates, and utensils. This was an investment that we will use year to year as we plan to do more winter camping excursions and plan a spring canoe trip as well. We also purchased a few outdoor-related clothing from a local thrift shop as some students were not able to bring the clothing they needed to be outdoors. This has helped us to make a sustainable club for years and years to come. 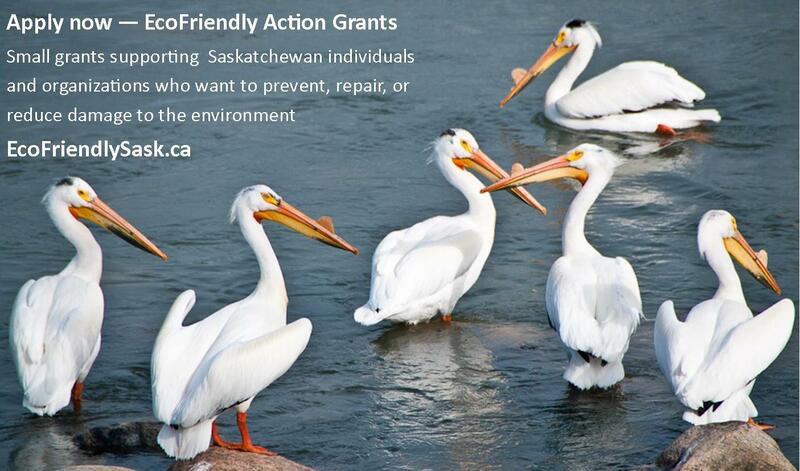 "Thank you so much for providing us with this grant money. The students and teachers had a phenomenal experience and we are already counting down the days to our next big adventure together!"